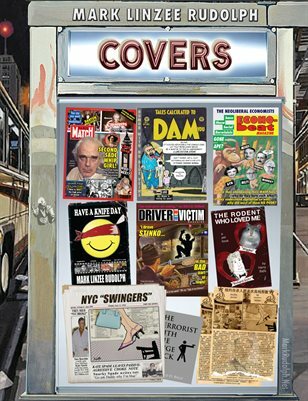 Covers & Deadlines by Mark Linzee Rudolph. Satirical magazine covers and articles from The Marquis de Sade’s ‘me too’ scandal to NYC ‘swingers’ Kate Spade and Anthony Bourdain. The rich cry also while tightwad congressmen sleep in their offices. Jayne Mansfield lost her head but gained a safety bar in her name. Baseball: our expensive minimalist spectacle. The magazine is dead, and we all know what Freud would have said about THAT!